Wild Love was created to show what we can achieve by working together because our wildness is imperative to our collective whole. 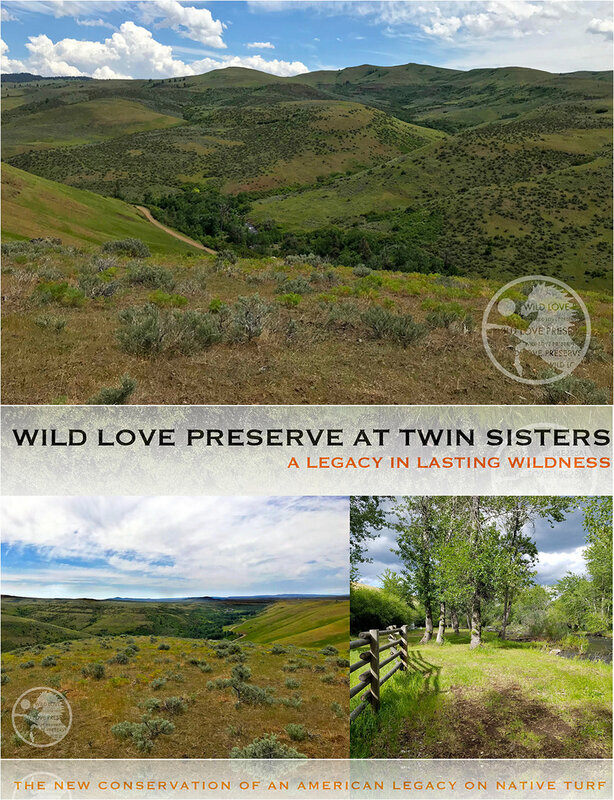 We’re thrilled to share news that our campaign for Wild Love Preserve at Twin Sisters is in motion to raise initial funding for the acquisition of our 10,000-acre wildlife preserve and transition WLP operations and 136 wild horses from our leased 400-acres to Wild Love’s permanent home in 2019. This history making move will enable further implementation of our conservation and education programs, youth programs and camps, and eco-tourism elements. Wild Love is a WE project. If you believe in the preservation of America's iconic wild mustangs and wild places, we invite you to join us. Your support translates to lasting wildness for wild horses on their native turf and respective indigenous ecosystems as an interconnected whole for generations to come. As a 501(c)3 non-profit, Wild Love Preserve engages public and private lands to address all facets of regional wild horse population on their home turf. Our legacy project includes our inclusive wild horse conservation programs, conflict resolution, education platform, comprehensive range health, and our 10,000-acre wildlife preserve in the heart of Idaho's wild horse country which is teeming with indigenous wildlife and will serve as permanent home to our current 136 Challis-Idaho wild horses and future Idaho wild horses. As well, he work we do in Idaho serves to benefit wild horses in other regions in the West. Thank you for supporting Wild Love's legacy in lasting wildness.